public areas rose from the empty spaces. types of modules which build together the flat. 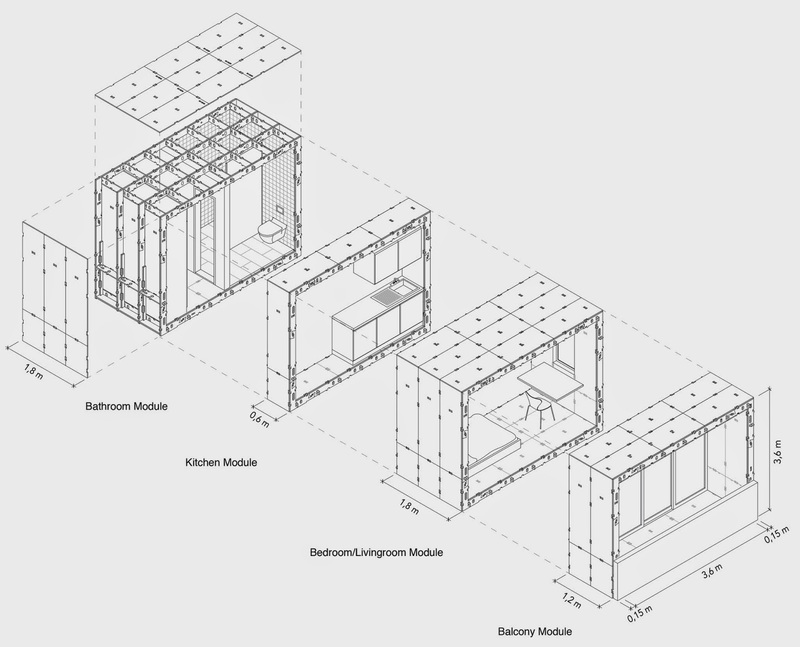 This is a dynamic remodelling of a static tower block that allows for flexible living pods to be developed by future residents using the modular FABLAB system within a remaining skeletal concrete structure. Ideas very clearly presented and plans showing a variety of apartment types are well developed. One concern is the nature of the spaces left over. The central space would be very dark. They would also all be windswept. Lisbon is windy, even in summer as we discovered at dinner one night! Also there is ambiguity about what is private, communal and public space? 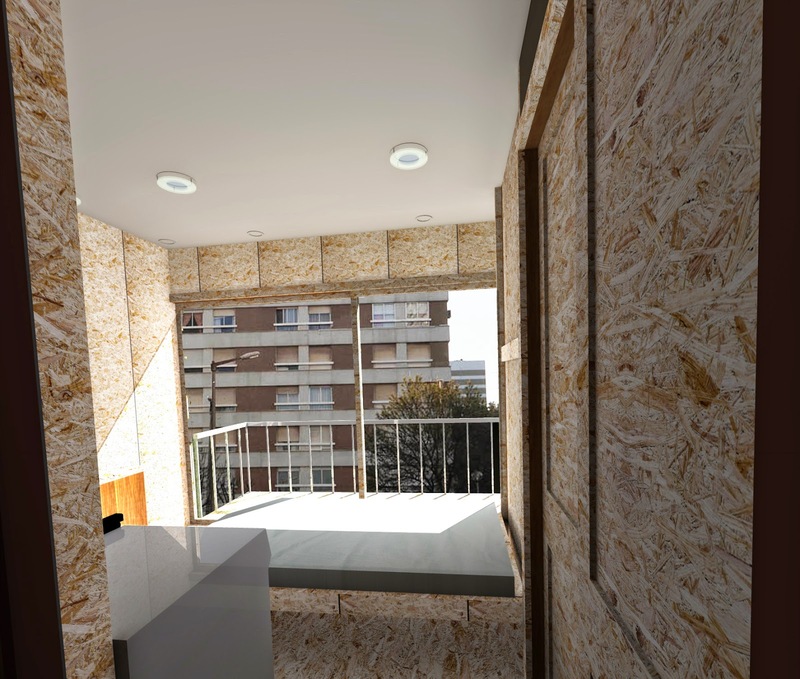 Another concern is the aspect of the apartments, particularly the one that faces north, but all of them are single aspect at least in terms of daylight. 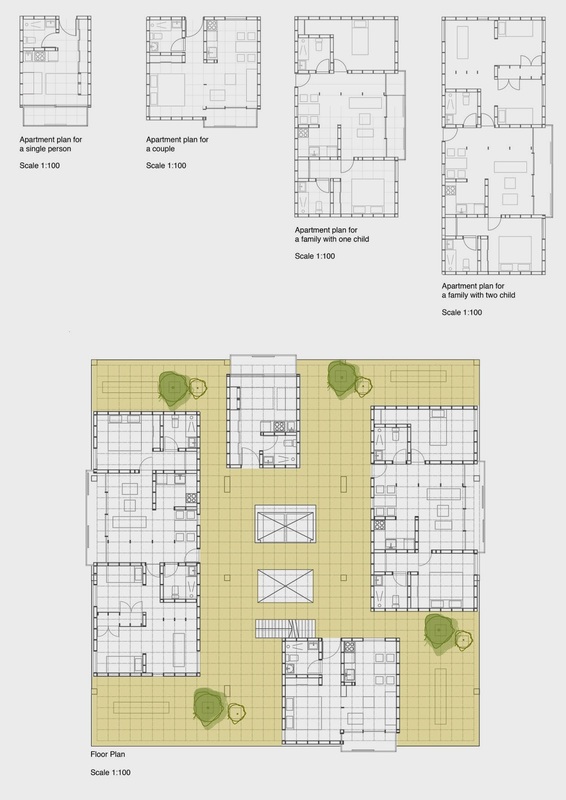 Perhaps the small studio apartment should always face north but also the introduction of voids at the edges of the shared spaces, possibly going over two or more floors, would allow for daylight to reach the residential pods. They could also help to define public/communal/private outdoor spaces, create interesting spatial links between floors and overall make the proposal even more dynamic than proposed. Could some of the pods also cantilever out between floors as is hinted at with the larger pods? The semi-public staircase will likely need to be enclosed for means of escape in case of fire. 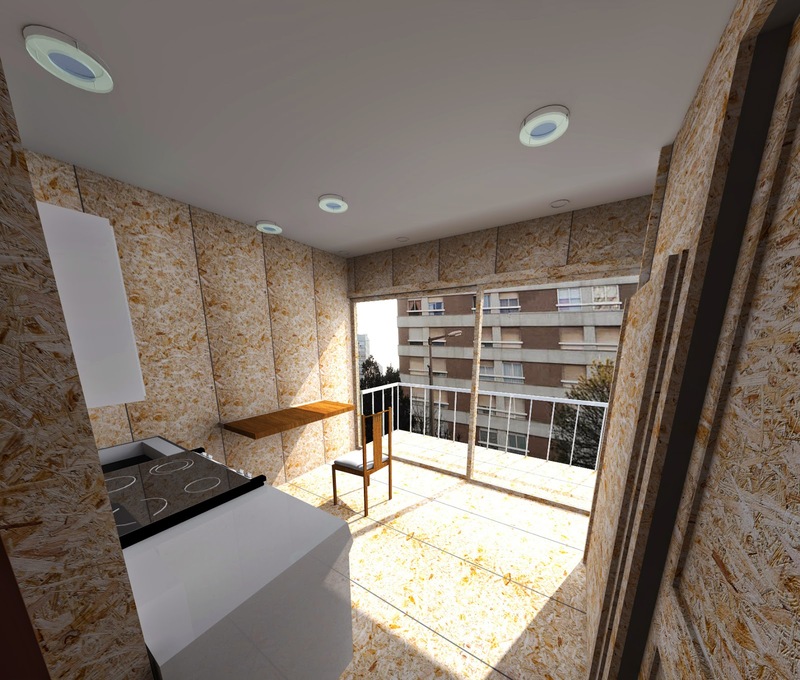 The planning of the 1-bed apartment is odd as the entrance leads in to the bedroom, or does this bed also fold out from the wall? This is not clear. Overall this is a very interesting and challenging proposal and very well presented.